How Many Jobs Are There For College Graduates? According to the Wall Street Journal not only are every 3 out of 4 companies hiring recent college graduates, but most of those employers consider writing ability (75%) and analytic skill (79%) to be important abilities for their new hires to possess. Here are some valuable tips on how to find one of these jobs. Only take an unpaid internship if it will truly advance your career goals. Just because an internship will look good on your application to a better job or graduate school, initiate the construction of a network you have some hope of using within the next year, or in which you’re really learning your trade, not simply performing clerical tasks. That said, take any paying job in the field you want to work in, even if it’s a low level clerical position. Once you “get your foot in the door” you can quickly work your way into a better position for yourself. If you let management know that you are ambitious, hard-working, eager to learn and smarter than the average bear you will succeed within the company. Let People Know You Need Work and are Willing to Do Anything. Let everyone know that you’re available for work. This means your parents, friends, colleagues, online social networks, professors, and people with whom you have casual conversations standing in line at the grocery store. You never know who knows someone who knows someone who needs someone just like you to help out in their business or professional affairs, particularly since businesses have been working short staffed because of the recession for some time now. Don’t be shy or hesitant. You’re smart, well-educated, capable and eager to work. 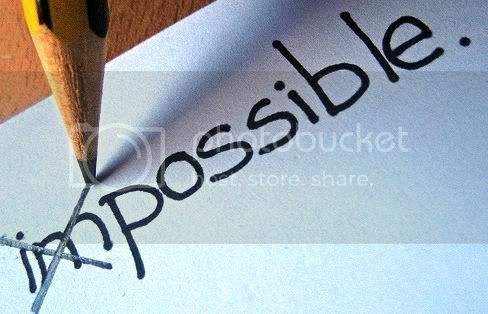 Don’t let the people who say it can’t be done get you down. You may not be able to pay down your student debt with the income you’ll earn from this first job, but you will from the one after that or the one that follows that. Memorial Day is perhaps best known as the three day holiday which formally kicks off summer time. Usually, the day is celebrated with family, friends, and neighbors meeting together and having a barbecue with hotdogs, hamburgers and beer being the most popular food items. Kids love the day because it symbolizes the beginning of beach season and the opening of the neighborhood pools. Memorial Day is in fact not meant to be a celebration at all. The fact is, the day was initially meant to be a day of solemn remembrance of fallen war veterans. While there are no past records to indicate when and where Memorial Day had its’ official start; it allegedly began sometime during the Civil War. The wives and families of fallen Civil War soldiers would visit the mass grave sites and place flowers, Bibles, family photos and other items on the graves. This tradition was known as “Decoration Day.” The first official “Decoration Day” came about in 1868, when flowers and flags were placed on graves in Arlington National Cemetery. In 1951, a poet by the name of Moina Michael started selling red, white and blue flowers, with the earnings going to military families in need. However, the Memorial Day holiday did not become official until Congress passed the bill in 1971. Besides cookouts and trips to the beach, there are many ways that college students can help keep alive the real meaning of Memorial Day. Fly the United States flag at half mass until noon. Volunteer to place flags on the graves of war veterans. Visit a Civil War battlefield. Fly a MIA/POW flag in remembrance of soldiers that have never come home. Participate in the “National Moment of Remembrance” by taking a moment of silence at 3:00 p.m. on Memorial Day. Make a charitable contribution to a charity that offers support to war veterans and their families. Show your pride by wearing your red, white and blue. Volunteer to help with your neighborhood parade. Upcoming and Recent graduates are having struggle now days when it comes to finding jobs. While the unemployment rate is getting lower, getting a job is still extremely tough for those with little or no work experience. Here are some tips for recent graduates looking for work. Before you go into any job interview, be sure to research and understand the company you are applying to. By having a deep understanding of the companies background information, you will be viewed as a prepared and interested potential employee for that company. Take time to practice and rehearse interviewing before you actually get there. Have family and friends ask you the most common interview questions so you can be prepared and know what you are getting yourself involved with. At the end of a job interview when the interviewer asks, “Do you have any questions for me”, the answer should be yes. You can ask them vague questions such as, “What do you like best about your job?” or “how would you describe the work atmosphere here?”. By asking these questions you show interest to the interviewer and the company. If you are not sure what the dress code is of the employees, be sure to more formal than informal. By dressing up, you show that you are professional and that you take the interview process seriously. Of course we all have places to be and people to see but, when an potential employer ask’s your schedule, you make it completely 100% available to whatever they need. Do not limit yourself to just one city or company. Keep an open mind about all potential opportunities and brightening your future. While you apply for jobs, continue to build your resume. Take on an internship, volunteer, or take on a part time job. By continuing to build your resume and increase your skill set, you make yourself more marketable to potential employers. If you aren’t landing any jobs, take a look at where you are going wrong. If you aren’t getting any interviews, go back over your resume and spruce it up by getting more experience or adding information to it. If you are getting interviews but not jobs, practice your interviewing skills so that you can be more successful in your interviews and potentially get job offers. Reach out to the people in your professional network for their assistance in your job hunt. Oftentimes when it comes to getting hired, it’s not what you know but who you know. So send along your resume and have your contacts pass it along to anyone they know at their HR department. When searching for a job, don’t depend solely on the Internet. Be sure to attend job fairs, industry events, and utilize other networking opportunities to get your resume out there. An elevator speech is a 30 second spiel about your experience and career goals. Having an elevator speech is not only a great way to quickly introduce yourself at networking events but is also a good way to answer the “tell me about yourself” interview question. LinkedIn is a great way to get all of your professional contacts in one place for networking. Sign up for LinkedIn, add everyone you know, and make sure to fill out your profile completely. LinkedIn also has a job search tool, so take advantage of that. After every interview, be sure to send thank you notes to each person who interviewed you. Sending a thank you note shows that you appreciate the interviewer’s time and gives you an advantage over candidates who don’t send thank you notes. No matter what, take a job that you will love. If you don’t, you will be miserable and probably won’t end up staying at your job very long. Be sure you are happy with what you are doing. If you are getting lots of rejections, don’t get discouraged. Remember that times are tough right now and getting a job is hard. Keep sending out your resume and stay positive. Most schools will give graduates access to their career center up to one year after graduation. So head on over to your career center to get your resume critiqued, practice your interviewing skills, and check out recent job postings. Help Plaza College build our social media presence and win 2 free tickets to see sister act, produced by Whoopi Goldberg! Plaza College is staying heavily involved in Social Media and communicating with students through social platforms. Now for the first time, Plaza College will be running a contest that will reward a winner for connecting to certain Plaza College social media pages. Write the name “Whoopi” on our wall one time, or once a day. It’s that simple! One of the “Whoopi”s written on the Plaza College Facebook wall will be randomly chosen, and if that person “Likes” the page and has subscribed to follow the Blog, they win! One of the first things to ask yourself when preparing your life after college is “Where do I see myself in five years?” The answer to that question should help you set goals for post college life and put you on the right path to success while you are still in school. You can plan for post college life while you are still in school. Once you graduate, you want to have developed firm skills and connections to help you meet your goals for life after college. You might want to go to grad school after college, or you may want to go straight to work. If you aren’t sure what you want to do yet, think about what you really enjoy. What are your hobbies and passions in your everyday life? What activities make you excited? Getting a taste of fields you might be interested in while you are still in college will help you decide what field to pursue. Consider internships to help build up experience. Even if the experience doesn’t pay now, it will likely pay off later on. Internships and volunteer experiences while you are still in school are some of the best ways to get experience in fields that don’t normally hire people for paid positions who are inexperienced. These types of experiences will also help you to determine whether or not you truly enjoy the type of work you will be doing in your chosen field. Whether you decide to go to work after graduation or enroll in a post graduate program, making connections is very important. You want to make a good impression on the people you meet in college, because later on, you are likely to need references and letters of recommendation. You will want to give people you meet a reason to remember you favorably. Also keep in mind that the friends you make in college could also wind up helping you find job leads in the future. No matter what career you choose to pursue, the people you know are important and can be a major source of help, advice, and support. For graduate school, research and good grades are very important. Begin looking at the programs that you are interested in as early as possible to see what is required. This will help you set realistic goals and decide how much time you need to put into studying and keep your dreams in sight. It will help keep you motivated. If you aren’t sure about what you want to do, that’s fine, too. Taking the general courses for a couple of years to see what you enjoy the most before choosing a major is absolutely fine. You’ll save more time by just taking the basic courses rather than plunging into a major and then switching later on. While figuring things out, consider joining some of the on-campus clubs and activities. Getting involved in activities is a great way to meet people and can also lead you to finding your passion. Some of you may or may not know what an RSS feed is or what it stands for. RSS means real simple syndication and it is a format for delivering regularly changing web content. In simple terms it basically is a way for people to get information that they are interested in sent to them as soon as it is posted. This makes things easy for the people who are constantly searching the web and trying to find new information. An RSS Feed allows you to subscribe to this information so it’s sent to you automatically. This way you’re always up to date. Basically any new content that is posted you will be notified immediately with an e-mail from the e-mail address you provided when you subscribed. You will need the right software to read an RSS feed on your computer such as Feed Reader or News Agrregator. This software allows you to take the RSS feeds from certain sites and stores them for you so you can access and read them at any time. Other types of RSS Feed readers are Amphetadesk,FeedReader, and NewsGator. Google also offers a very popular web-based RSS feed reader. As you see on the Plaza Blog, there is an orange icon in the top right hand corner next to all of the other social media platform icons. You would click this icon AFTER you have your Feed Reader in place. Once you do, you then click on the RSS icon and from there you’re able to subscribe to our blog just by entering your e-mail address. It’s as easy as that! Start enjoying the latest news and events at Plaza College today! 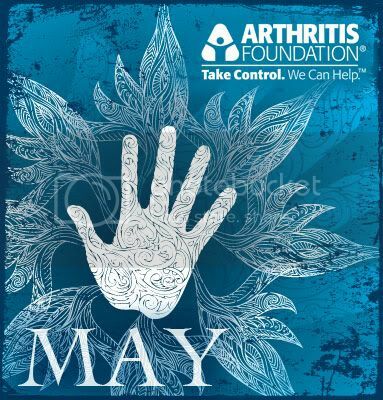 Are you participating in the NYC Arthritis walk this year? Not only will Plaza College be holding a school-wide fundraiser to raise awareness for Arthritis but we will also be participating in the 2011 NYC Arthritis Walk. Entrance to Battery Park is across from 17 State St.
May is National Arthritis Awareness month and Plaza College is taking action! Arthritis is the Inflammation of a joint, usually accompanied by pain, swelling, and stiffness, and resulting from infection, trauma, degenerative changes, metabolic disturbances, or other causes. It occurs in various forms, such as bacterial arthritis, osteoarthritis, or rheumatoid arthritis. To raise awareness and support all that suffer from Arthritis, Plaza College will be holding a school-wide fundraiser Thursday May 12th. This will be sponsored by the Alumni Association, Sigma Kappa Delta, Alpha Sigma Lambda, DECA, and Student Affairs. Food will be sold all day, and information on Arthritis will be distributed. We will also have presentations from members of our MA staff. Learn your weaknesses. Have you ever heard of a SWOT Analaysis? Citing Wikipedia: SWOT analysis is a strategic planning method used to evaluate the Strengths, Weaknesses, Opportunities, and Threats involved in a project or in a business venture. However this analysis is extremely useful in analyzing yourself. Write out all of your strengths, weaknesses, opportunities and threats. Once you have a good idea about them, map out what it takes to turn your weaknesses into your strengths and your threats into opportunities. You may find that these are goals in themselves. Draw a road map to your goal. Be specific but realistic. Map out from beginning to end what it takes to get to your goal. It’s important to be specific but more important to be realistic. For instance, just like a diet, if you say you want to lose 10 lbs in a week, you can starve yourself and lose some weight quick but likely to gain it all back very fast. 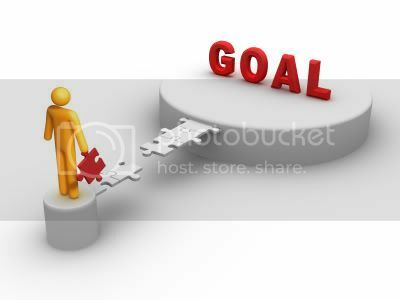 Unrealistic goals have a very high failure rate. Create a schedule for yourself. It’s important to tie in all of these tips into this one. You need to create a schedule for yourself that works for you but don’t overwhelm yourself. Use it as an agenda and stick to it. It will keep you disciplined and organized. 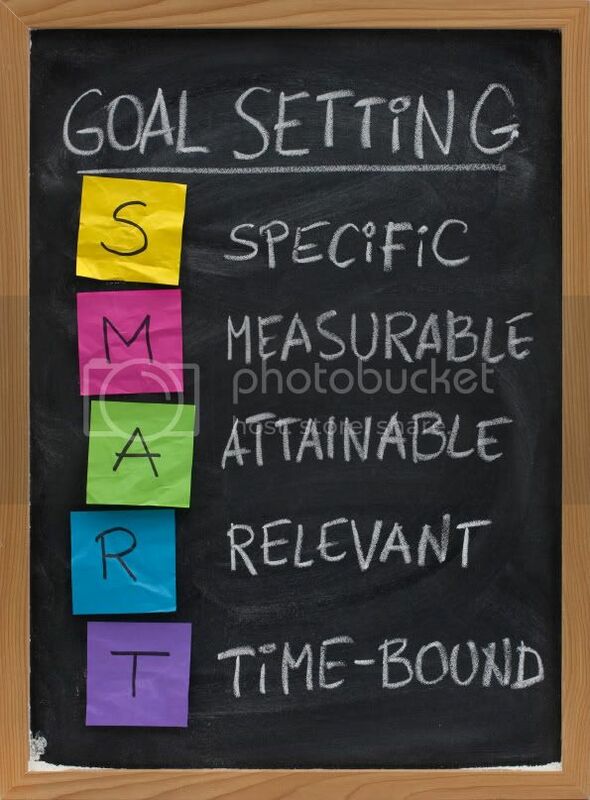 This way you can always use it as a reference and view it to see how much closer you’ve come to reaching your goals! 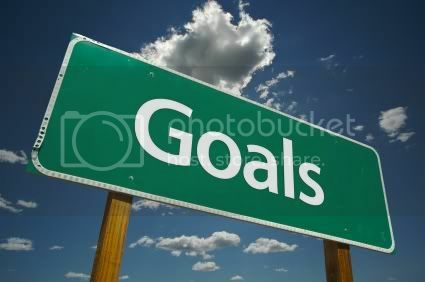 What are some of your goals for this semester? The summer after graduating high school is an exciting and scary time in a person’s life. You are happy to be turning to the next chapter of your life but fearful it might not be for you. In most cases, you are just psyching yourself out. College is nothing to fear, if anything it is something to look forward to. You will make new friends, create new memories, and best of all develop your career with learning skills in your field. 1. Keep an open mind to different lifestyles and viewpoints. People in college come from all different walks of life; don’t rule them out just because their hobbies and views are different than yours. Make friends of all different types. 2. Don’t spend all of your free time alone in your room. Solitude is nice, but you’ll love college a lot more if you don’t spend all day watching TV or surfing the Internet. Keep yourself busy! 3. Explore your hobbies and try new ones. Find clubs and teams for hobbies and spots you enjoy and get involved. You never know who you are going to meet by doing this. 4. Keep in touch with old friends and gain new ones. Give your old friends an occasional call to see how everything is going while spending time with friends who go to your school. 5. Learn about your school. Find out its history and the origin of traditions. Learn about the area around the school and its history. Discover what programs your school has to offer and what it excels in. Find out what cool achievements and influential people have come from your university. 6. Do no procrastinate. College work takes more time than high school work, and you will end up struggling all night to finish a paper because you put it off too long. 7. Pay attention in class. Professors will go into a lot of detail, and all of it is fair game for tests. Many times they’ll even give strong hints as to what to expect, and if you’re zoning out, you’ll miss all of it! 8. Be grateful and proud for where you are. Be proud of your school, and be grateful that you’re fortunate enough to attend college. Make the most of your years. 9. Take plenty of pictures. Pictures will give you something to look back on to reminisce about college. still enjoy yourself. Be excited to start your new chapter of life!